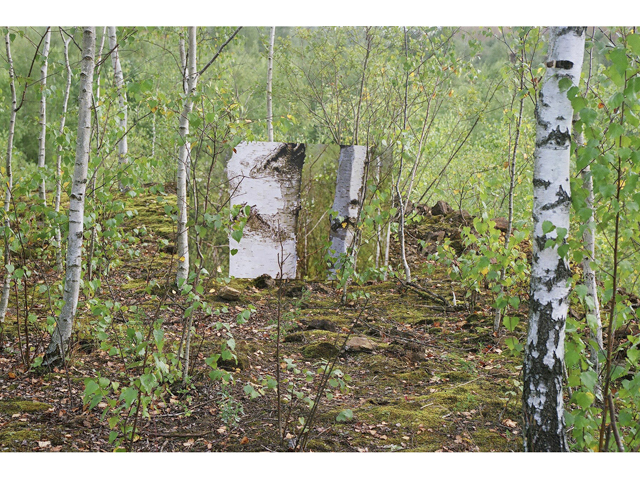 An event attended by several European artists and organized by the Luxembourgish artist, Annick Pütz. 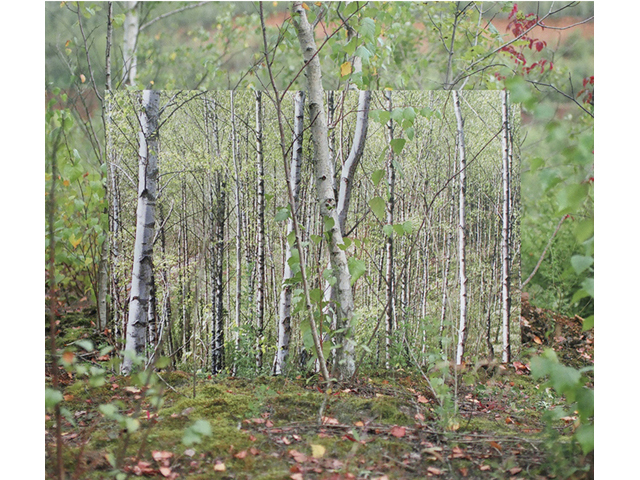 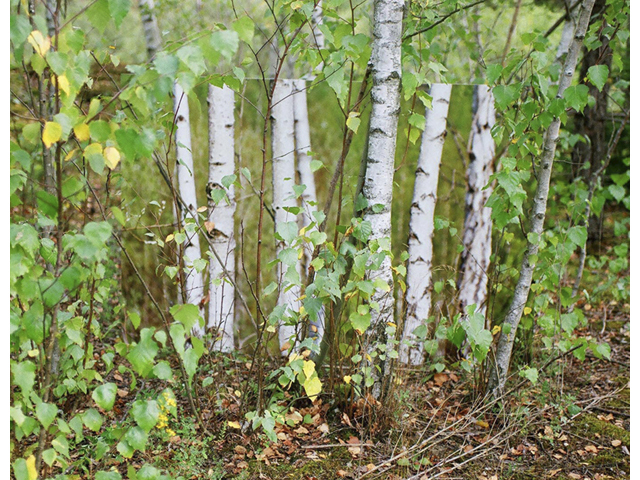 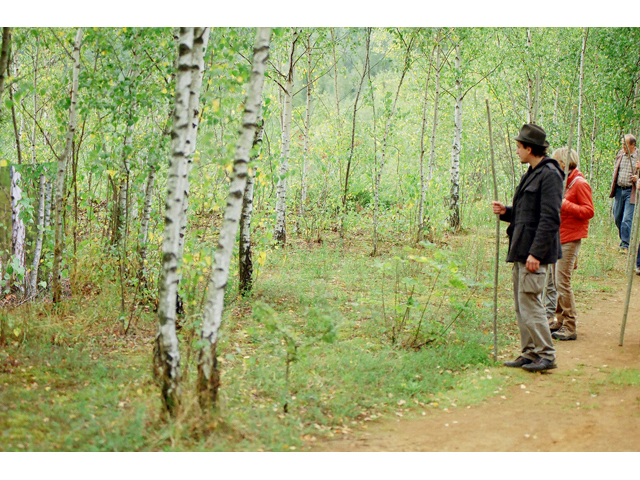 Four photographic prints of birch trees were placed vertically on the ground beside a path. 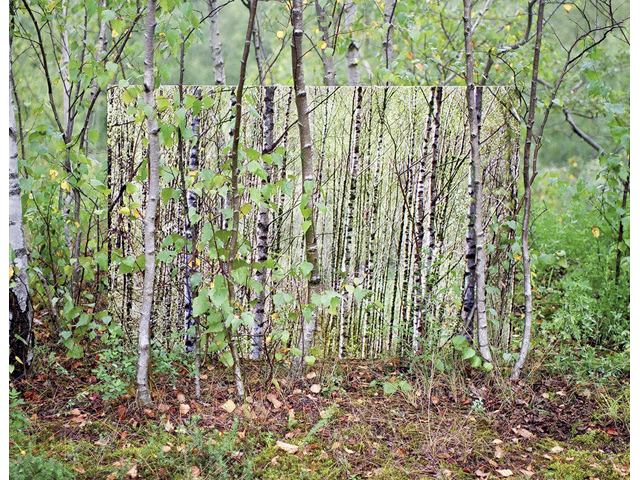 The photographs of the site were taken at the spring equinox and positioned at the autumn equinox. 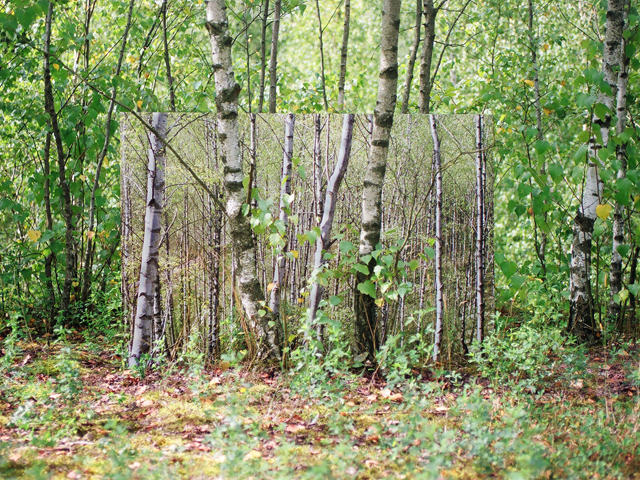 A poetic experience of a landscape within a landscape, inviting one to halt and view the site differently.